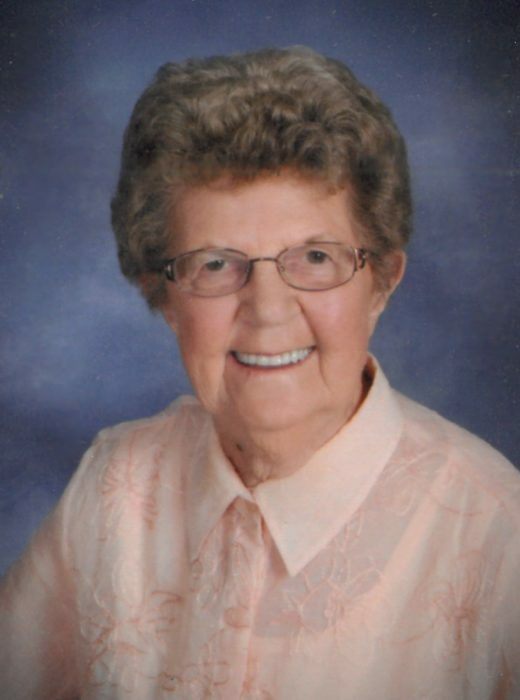 Maxine (Mac) Elaine Jacobson passed away peacefully on March 20, 2019 at St. Marks at the age of 90 years. Maxine was born December 17, 1928 to Lester & Elsie Quam. She was united in marriage to Harold Leroy Jacobson Nov. 29, 1947 at St. John’s Lutheran Church in Austin. Harold & Mac had made Austin their home and summers at their cabin on French Lake, which they had for 49 years. She was a devoted member of Westminster Presbyterian Church, always finding her own special spot in the same pew on Sunday and a longtime member of the Women’s Potpourri Circle group. One thing many may not have known about Maxine, is that she played Alto Saxophone in her younger days and was in the Marching band at school, something that she was so proud of. Mom was a strong, determined and loving woman. We will miss her every day. We can all look around our homes and forever be reminded of her love by the Christmas decorations on our trees, the doilies upon our tables, the afghans that lay over our laps, the washcloths in our kitchens and the hundreds of other decorations that she’s made over her years. Mom was wonderfully devoted to her 3 daughters, Linda (Nels) Nelson, of Rose Creek, Minn.; Sandy (Bruce) Hovland, of Austin, Minn.; and Lori Tigner, of Austin, Minn. She was a loving Grandmother to her nine grandchildren; 15 great-grandchildren and an Aunt to numerous nieces and nephews. She is also survived by one brother; Rich (Sue) Quam, Sister-in-law; Delaine Quam and her brother-in-law Virgil (Barb) Jacobson. We will miss our beloved mom, grandma, sister, aunt so very much, but are comforted by her return to Our Father & her reunion with her husband; Harold, her parents, her 2 brothers; Dale & Lester and one great-grandchild, Kiki Palmer, who had all proceeded her in death. Funeral services will be held at 11:00 a.m. on Tuesday, March 26, 2019 at Worlein Funeral Home in Austin with Pastor Mike Olmsted officiating. Visitation will be held one hour prior to the service at the funeral home on Tuesday. Interment will be in Grandview Cemetery, Austin. Memorials can be directed to recipient of donor’s choice. Special thanks to the wonderful people of St. Croix Hospice care who provided invaluable care to Mom for her final days. Services are prearranged and performed with Worlein Funeral Home of Austin.